When I was a student, I had almost not had almost never submitted reading reports of summer vacation homework. I supposed that my teacher hoped a model answer, but it didn't come up. If I had written reading reviews of those books now, I could have created unique sentences. At all, the most important thing is to write as you think. Let me introduce a book I have read yesterday. 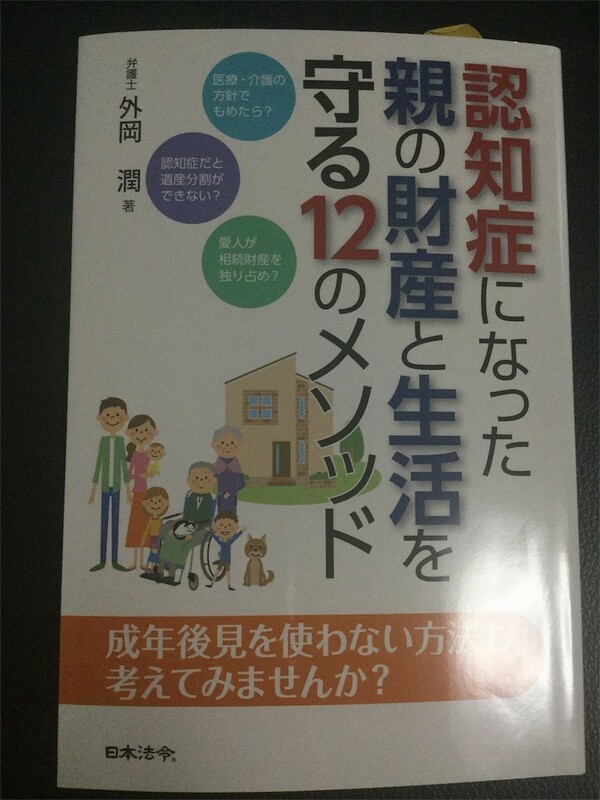 "12 methods of protecting the property and keeping happy family life for people whose parent has dementia." The author, Jun Sotooka, is a lawyer and my dependable business partner. Mr.Sotooka specializes in consulting and sue about troubles happened in nursing care service. This book deals with not only troubles between domestic families but also problems caused by modernization.